Chances are you’re bringing quite a few things along to college with you this year. Some of those things, such as your bike, laptop, and X-Box are big-ticket, expensive items that you need to make it through the semester as a sane human being. So, what would happen if those items were stolen or damaged? You’d be out a lot of cash just trying to replace them. On a college student budget, replacing a laptop could be disastrous. 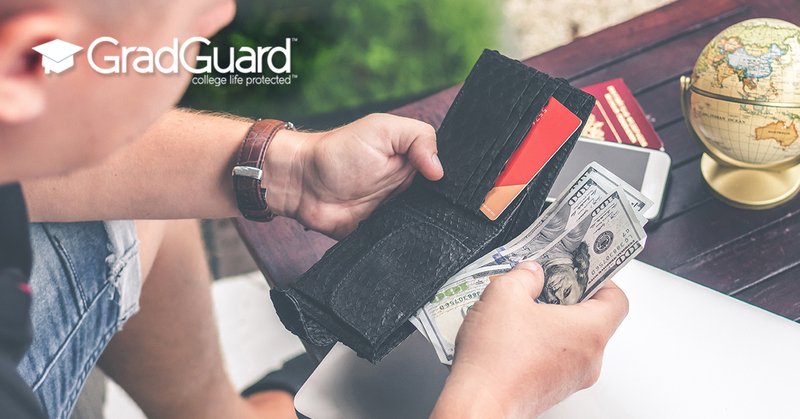 In addition to being diligent about your stuff, students should also consider protecting their stuff with GradGuard Renter’s Insurance! Renters insurance provides valuable financial protection for your stuff and personal liability. According to the Insurance Information Institute, the average annual cost of a renters insurance policy is $184; that is less than $16 per month! That doesn’t seem out of reach even on a student budget. Actually, $16 per month is just 53 cents a day! Going to the movies with your friends. Even if you just see 1-2 movies a month it will cost more than renters insurance. Some of these things might not apply to you, but when you think of the things that can happen in college where something of yours might need to be replaced due to covered damage or theft, having renters insurance is definitely worth the price! Make the smart buy and get protection with the only renters insurance that contains an exclusive college student endorsement – with unique features and coverage designed for college life- from GradGuard.